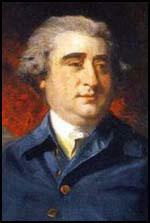 Charles James Fox, the son of the Henry Fox, a leading politician in the House of Commons, was born on 24th January, 1749. After being educated at Eton and Oxford University, Fox was elected to represent Midhurst in the Commons when he was only nineteen. At the age of twenty-one, Fox was appointed by Frederick North, the prime minister, as the Junior Lord of the Admiralty. In December 1772 Fox became Lord of the Treasury but was dismissed by in February 1774 after criticising the influential artist and journalist, Henry Woodfall. 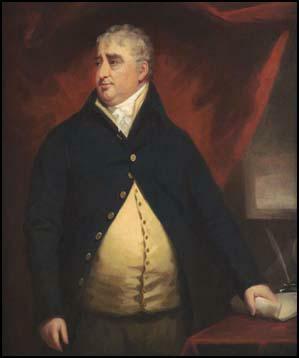 Out of office, Charles Fox opposed North's policy towards America. He denounced the taxation of the Americans without their consent. When war broke out Fox called for a negotiated peace. In April 1780 John Cartwright helped establish the Society for Constitutional Information. Other members included John Horne Tooke, John Thelwall, Granville Sharp, Josiah Wedgwood, Joseph Gales and William Smith. It was an organisation of social reformers, many of whom were drawn from the rational dissenting community, dedicated to publishing political tracts aimed at educating fellow citizens on their lost ancient liberties. It promoted the work of Tom Paine and other campaigners for parliamentary reform. Charles Fox became convinced by Cartwright's arguments. He advocated the disfranchisement of rotten and pocket boroughs and the redistribution of these seats to the fast growing industrial towns. When Lord Frederick North's government fell in March 1782, Fox became Foreign Secretary in Rockingham's Whig government. Fox left the government in July 1782, on the death of the Marquis of Rockingham as he was unwilling to serve under the new prime minister, Lord Sherburne. Sherburne appointed the twenty-three year old William Pitt as his Chanchellor of the Exchequer. Pitt had been a close political friend of Fox and after this the two men became bitter enemies. In 1787 Thomas Clarkson, William Dillwyn and Granville Sharp formed the Society for the Abolition of the Slave Trade. Although Sharp and Clarkson were both Anglicans, nine out of the twelve members on the committee, were Quakers. This included John Barton (1755-1789); George Harrison (1747-1827); Samuel Hoare Jr. (1751-1825); Joseph Hooper (1732-1789); John Lloyd (1750-1811); Joseph Woods (1738-1812); James Phillips (1745-1799) and Richard Phillips (1756-1836). Influential figures such as Charles Fox, John Wesley, Josiah Wedgwood, James Ramsay, and William Smith gave their support to the campaign. Clarkson was appointed secretary, Sharp as chairman and Hoare as treasurer. Clarkson approached another sympathiser, Charles Middleton, the MP for Rochester, to represent the group in the House of Commons. He rejected the idea and instead suggested the name of William Wilberforce, who "not only displayed very superior talents of great eloquence, but was a decided and powerful advocate of the cause of truth and virtue." Lady Middleton wrote to Wilberforce who replied: "I feel the great importance of the subject and I think myself unequal to the task allotted to me, but yet I will not positively decline it." Wilberforce's nephew, George Stephen, was surprised by this choice as he considered him a lazy man: "He worked out nothing for himself; he was destitute of system, and desultory in his habits; he depended on others for information, and he required an intellectual walking stick." Fox was unsure of Wilberforce's commitment to the anti-slavery campaign. He wrote to Thomas Walker: "There are many reasons why I am glad (Wilberforce) has undertaken it rather than I, and I think as you do, that I can be very useful in preventing him from betraying the cause, if he should be so inclined, which I own I suspect. Nothing, I think but such a disposition, or a want of judgment scarcely credible, could induce him to throw cold water upon petitions. It is from them and other demonstrations of the opinion without doors that I look for success." 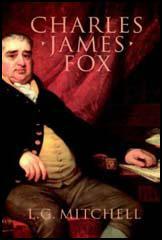 In May 1788, Fox precipitated the first parliamentary debate on the issue. He denounced the "disgraceful traffic" which ought not to be regulated but destroyed. He was supported by Edmund Burke who warned MPs not to let committees of the privy council do their work for them. William Dolben described shipboard horrors of slaves chained hand and foot, stowed like "herrings in a barrel" and stricken with "putrid and fatal disorders" which infected crews as well. With the support of William Pitt, Samuel Whitbread, William Wilberforce, Charles Middleton and William Smith, Dolben put forward a bill to regulate conditions on board slave ships. The bill passed 56 to 5 and received royal assent on 11th July. When the French Revolution broke out in 1789 Charles Fox was initially enthusiastic describing it as the "greatest event that has happened in the history of the world". He expected the creation of a liberal, constitutional monarchy and was horrified when King Louis XVI was executed. When war broke out between Britain and France in February 1793, Fox criticised the government and called for a negotiated end to the dispute. Although Fox's views were supported by the Radicals, many people regarded him as defeatist and unpatriotic. and Henry Petty, the Chancellor of the Exchequer, collecting extra taxes. In April 1792, Charles Grey joined with a group of Whigs who supported parliamentary reform to form the Friends of the People. Three peers (Lord Porchester, Lord Lauderdale and Lord Buchan) and twenty-eight Whig MPs joined the group. Other leading members included Richard Sheridan, John Cartwright, John Russell, George Tierney, Thomas Erskine and Samuel Whitbread. The main objective of the the society was to obtain "a more equal representation of the people in Parliament" and "to secure to the people a more frequent exercise of their right of electing their representatives". Charles Fox was opposed to the formation of this group as he feared it would lead to a split in the Whig Party. However, by November eighty-seven branches of the Society of Friends had been established in Britain. Fox disapproved of the ideas of Tom Paine and criticised Rights of Man, however, he consistently opposed measures that attempted to curtail traditional freedoms. He attacked plans to suspend habeas corpus in May 1794 and denounced the trials of Thomas Muir, Thomas Hardy, John Thelwall and John Horne Tooke. 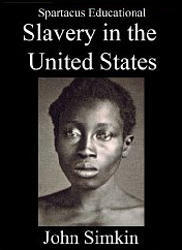 Fox also promoted Catholic Emancipation and opposed the slave trade. Fox continued to support parliamentary reform but he rejected the idea of universal suffrage and instead argued for the vote to be given to all male householders. When Lord Grenville became prime minister in 1806 he appointed Charles Fox as his Foreign Secretary. Fox began negotiating with the French but was unable to bring an end to the war. After making a passionate speech in favour of the Abolition of the Slave Trade bill in the House of Commons on 10th June 1806, Fox was taken ill. His health deteriorated rapidly and he died three months later on 13th September, 1806. There are many reasons why I am glad (Wilberforce) has undertaken it rather than I, and I think as you do, that I can be very useful in preventing him from betraying the cause, if he should be so inclined, which I own I suspect. Nothing, I think but such a disposition, or a want of judgment scarcely credible, could induce him to throw cold water upon petitions. It is from them and other demonstrations of the opinion without doors that I look for success.